How should public schools allocate funding to get better student outcomes? Morgan Burke, an ACRE Fellow and UCA biology student, recently wrote an op-ed for the Arkansas Democrat-Gazette titled “Rethink spending: Focus school funds on instruction,” arguing that Arkansas is misallocating its spending on administrative funding when the money could be better spent on instructional funding. 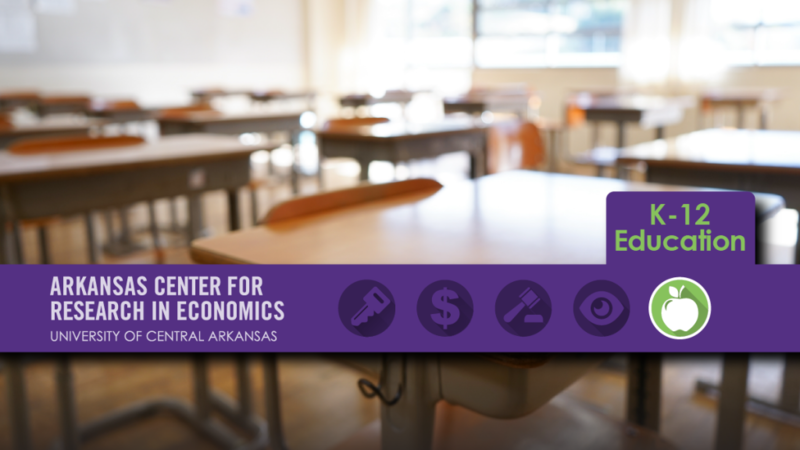 Burke, along with UCA Associate Professor of Economic and ACRE Scholar Thomas Snyder examined the relationship between spending and student performance on the Arkansas Augmented Benchmark Exam. They conclude that a negative relationship exists between growing administration expenses and student performance. She also points to academic research in other places and by other scholars that have similar findings. To read the full op-ed, go here. For more of ACRE researchers’ work on this issue, go here. Morgan Burke is a part of ACRE’s Research Fellowship Program. In this program, students work with a professor to write a publishable research paper that is presented at the annual Society of Business, Industry, and Economics conference. Burke has been working with UCA Associate Professor of Economics Thomas Snyder on an academic research paper that investigates the relationship between school spending and student outcomes over the course of the 2018-2019 academic year.